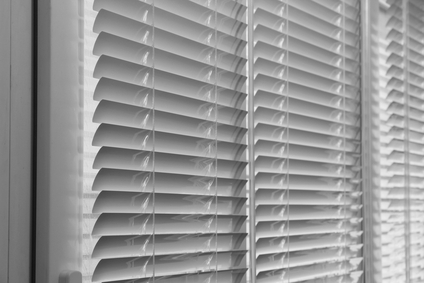 Whether you are wanting to dress your business or home windows, you can find the best in beautiful, affordable, quality Aluminium Shutters at Gator Blinds. Our Aluminium Shutters combine elegance, beauty, and tradition with state of the art technology in motorization and automization. If you are interested in easy ways to operate your interior or exterior Aluminium Shutters while you’re away or there, our motorized Shutters will give you full control via your smartphone, on a schedule you set, or with an infrared remote control. 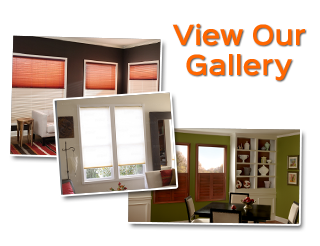 As specialists in automated, motorized window treatments, you’ll find all your looking for in beautiful, easy to control Shutters at Gator Blinds. Whether you opt for Aluminium motorized Shutters or regular, we have a huge selection to choose from! The Aluminium Shutter is still very popular today! Though they have been around a long time, our manufacturers use new technologies to make them much more durable than ever before. They are a classic look that was very popular on Aluminium Shutters. They sport wide slats or narrow that come in different widths and can be fitted with advanced operation systems. They also come in hurricane shutter style with aluminum panels that can also be controlled remotely. At Gator Blinds, our Aluminium Shutters are quality made and beautiful. 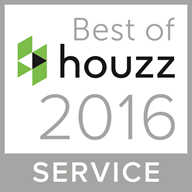 We know you’re going to love them for your Tampa home! Shopping for Shutters isn’t easy because you wind up looking and ordering online or at your local store, but the problem is you can’t see what they will look like in your space until you get them installed. And if they wind up getting damaged during shipping or manufacturing or you measured your windows wrong, you get stuck having to return them either by shipping them back or taking them back to the store you purchased them from. 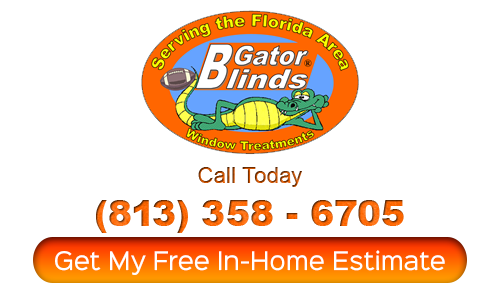 Gator Blinds makes finding the right Shutters easy for you. We bring you our mobile showroom so you can see our Tampa Aluminium Shutters in your space. This is a no-obligation design consultation. We also measure and install so you have the perfect fit. You can protect your home and add curb appeal with our beautiful, durable exterior Aluminium Shutters. 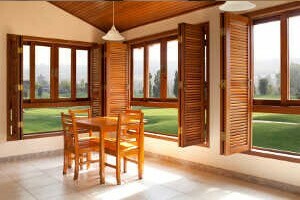 Aluminium Hurricane Shutters are great to use instead of boarding up the exterior of your windows. In Tampa, it can be very important to have storm protection, and with our options in exterior Shutters and motorization, you can easily close your aluminium shutters from remote locations or with the push of a button on a remote control whether they are on your home’s exterior or interior. Call today for your free, no-obligation design consultation! For the best in motorized Aluminium Shutters for Tampa and other areas of Florida, please call 813-358-6705 or complete our online request form.